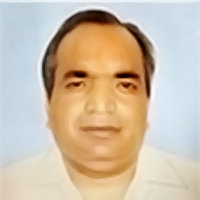 Sh.B.K.Gupta, founder of Allied Group was 3rd generation in a family of iron and steel merchants. He envisioned great potential in processing of steel coils, and thus left the family trade business to set up a unit for steel processing in Faridabad in the year 1979, which was the first processing unit in Haryana. He was an extremely dynamic personality and a man of great vision and had interests in diverse businesses including development of real estate. He had also been a promoter-director of a public limited company that was OE manufacturer of clutch plates. He was also president of various associations and led many trade delegations overseas. In 2015 we setup our first manufacturing unit for Electrical Stampings to cater to the needs of white goods and electrical motor industries. A fully integrated plant with facilities for lamination stamping, decarburization and aluminum die casting with the best in class machinery was set up in order to provide customers with impeccable quality and end to end solutions.